CAIRO, GA (WALB) - Cairo residents woke up Monday morning to a lot of destruction from Sunday evening’s strong winds. According to the National Weather Service (NWS) in Tallahassee, Florida, the preliminary rating for the tornado that struck Cairo is an EF-2. 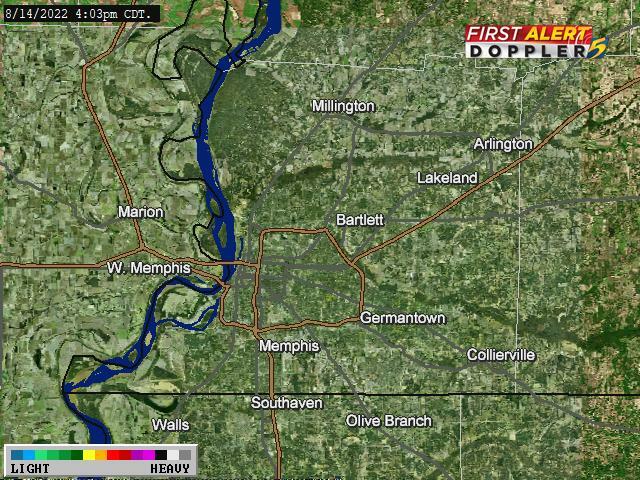 Maximum wind speeds have been estimated at 120 mph, according to NWS. Grady County Schools were closed Monday and will be closed Tuesday for students, faculty and staff will report to school at 10 a.m. According to Dr. Kermit Gilliard, Grady County Schools superintendent, there is currently no power at Southside Elementary School or Cairo High School, but officials anticipate electricity being restored to those buildings by Tuesday. Gilliard also confirmed that the fifth grade end of the fourth and fifth grade wing of Southside did suffer damage to the roofs and the ceiling grid fell in a few places. However, crews are working now to get some of it cleaned up and a crew is coming in Tuesday morning at 7 a.m. to make repairs. That crew will work into the night Tuesday, if needed, as the school system is planning to have Southside Elementary ready for students to return on Wednesday. 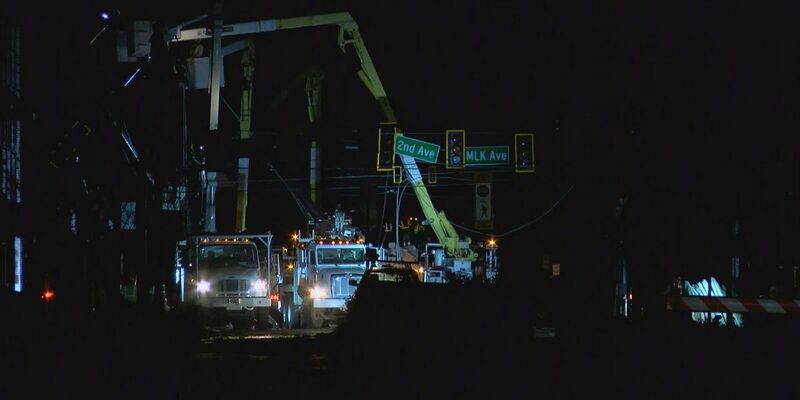 City of Cairo power crews have been working overnight trying to restore power to the area. WALB News 10′s Ashley Bohle rode along with the Keith Sandefur, Cairo police chief, throughout the central part of town. Sandefur said Cairo was hit harder Sunday night by the possible tornadoes than they were when Hurricane Michael hit the area. Several families said they feel incredibly blessed that their trees fell away from their home, because they know hundreds weren’t so lucky. Hector Reyes said he and his family panicked when they discovered one of their properties had been damaged from the storm. “Just going through the town of Cairo, it just tore up the whole neighborhood. And I come to my house and I see a tree on my house, and we just started going to work,” said Reyes. Reyes said he doesn’t believe there will be too much damage to his home. Many families have been working on clearing their yards and roads of debris since first thing Monday morning. Amber Reaves and her family are one of the more fortunate ones whose trees did not fall through their house. Reaves said that once she and her husband felt strong winds and heard the tornado sirens, they ran inside. She said she grabbed her kids and sought shelter in their hallway, praying they would stay safe. “It was scary. We heard winds, we heard trees snapping and stuff hitting our roof,” described Reaves. Once they realized the tornado had passed and they were unharmed, they went back outside to check on everyone else. “The first thing we did was check on our neighbors. Our main priority was calling our family, letting them know that we are OK. We checked on our neighbors across the street that got really bad damage,” said Reaves. Reaves said that thankfully everyone in the home across the street were safe. She said she believes there was so much damage because of how wet the ground was. Reaves said they’re going to work until their yards and their neighbors’ yards are clean. Which she knows will be a long process. Cairo City Manager Chris Addleton said office and commercial buildings in the downtown area had windows blown out and metal roofs torn off by the storm Sunday evening. He said some residents reported being stuck inside homes that were damaged or had trees on them. Sandefur and Richard Phillips, the Grady County Emergency Management Agency director, said miraculously they haven’t had any deaths or even injuries. The city will be shutdown Monday to repair the damages. City leaders met at 7 a.m. Monday at the fire station to discuss a game plan for fixing everything. The Grady County Division of Family and Children Services (DFCS) office will be closed Monday because of weather-related building damage, according to Georgia DFCS’ Facebook page. A Red Cross-supported warming center opened at 1 p.m. Monday, and will transition to a Red Cross shelter Monday evening. The center is at the Grady Agri-Center, 65 11th Ave. NE. The warming station will only provide warm meals and drinks. They are still determining if the stations are necessary to stay open. Red Cross officials also said they’re not handing out tarps for damage. One family is working to restore not only their home, but the community’s morale as a whole. “As serious as this is I wanted to project some humor just to help the mood,” Tim White, a Cairo resident, said. “Historic Home for sale... Minor roof damage,” can be seen painted on scraps of what used to be the roof of an historic Cairo home. The phrase provided a much needed lighthearted chuckle after a tornado swept through the city, leaving some parts unrecognizable. “When I was driving back I heard I had lost my roof, I thought that might’ve just been some metal panels, but what I quickly realized was that I had lost my roof,” White said. White grew up in the house directly across the street from his current home, a house his mother still lives in today. Her roof was also ripped clean off during the storm. White’s father purchased both homes in the 70′s and 80′s with high hopes of preservation. “I moved in recently to carry on the tradition of working on the home and trying to improve it, there’s always a project with this house and now I’ve got a big project,” White said. With so much devastation around the area, White said he needed to lift his spirits, so at two in the morning, he grabbed his paint brush and stroked a joke on a piece of his family history. Many, including the White family, do not know what is next for their homes, but they are planning to face it together. “Right now, I’m sure this looks as if this is the worst thing we’ve ever seen before, but Cairo’s an old town, this house is an old house, we’ve been through a lot and we can get through this together,” Max White, Tim’s son, said. Two people were airlifted to the hospital after a shooting in Tunica County.